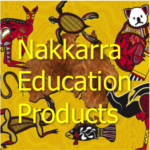 Great exciting Aboriginal stencils. 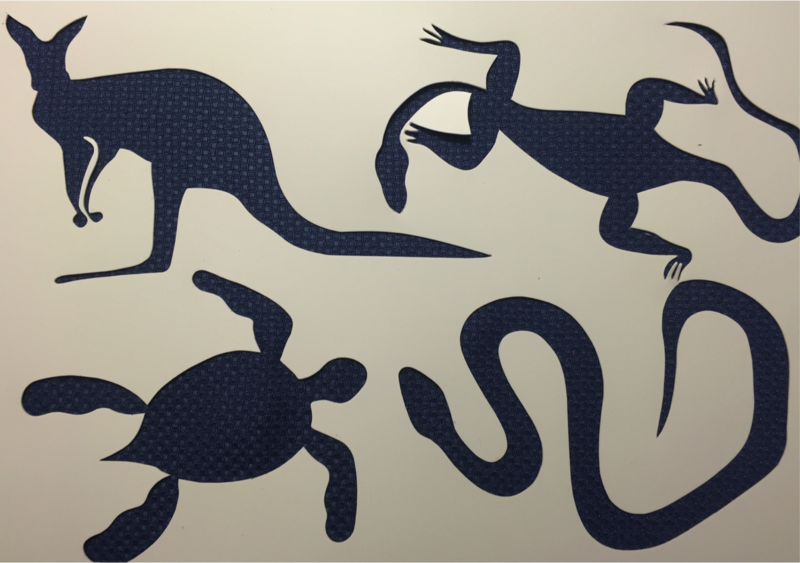 You have both the insides and outsides to trace for a kangaroo, turtle, snake and goanna. 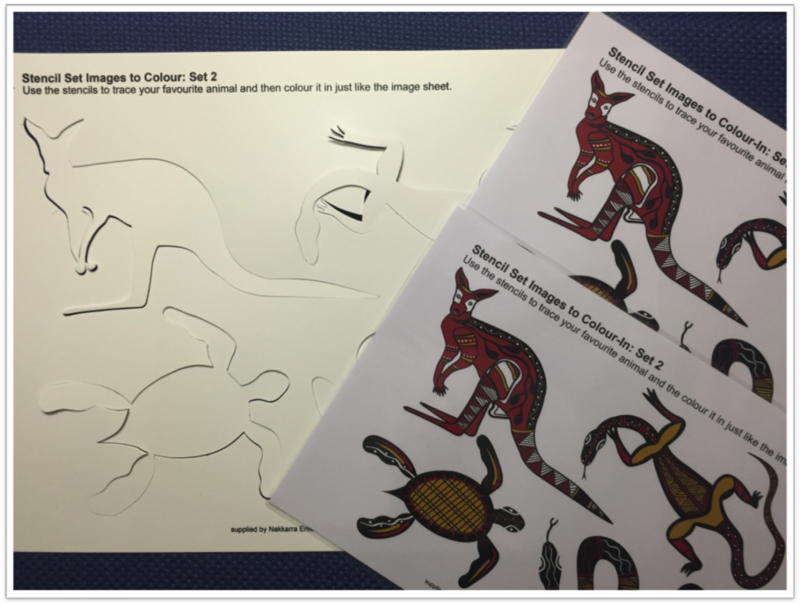 We also have included a couple of lamented colour animals that can be used when colouring in the animals. 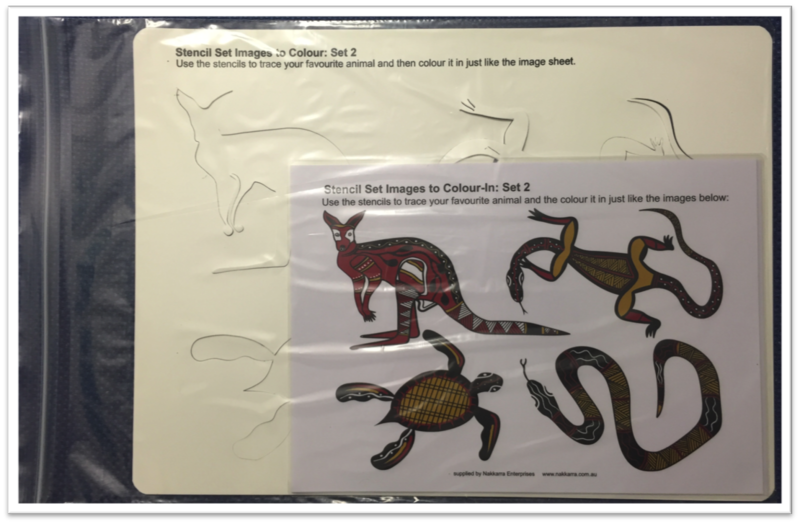 Stencils are made out of strong plastic and the package comes in a sealed bag so that you can use for storage when not in use. 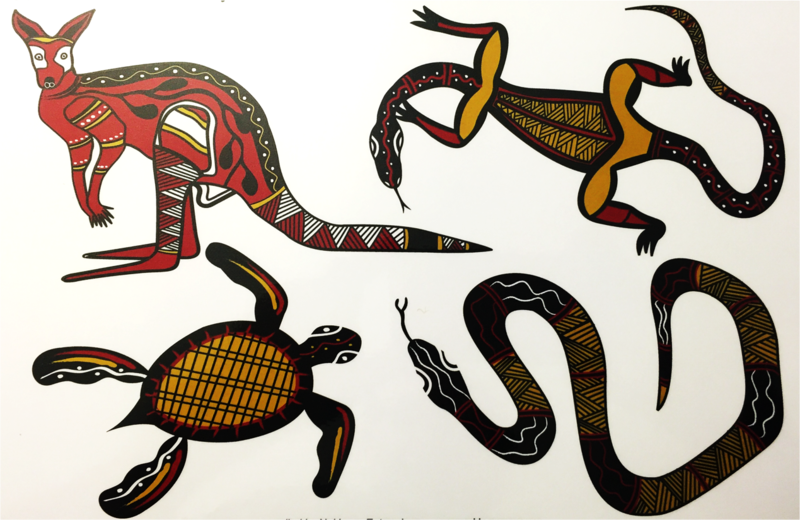 The artwork is thanks to South Australian Aboriginal artist Alan Sumner. 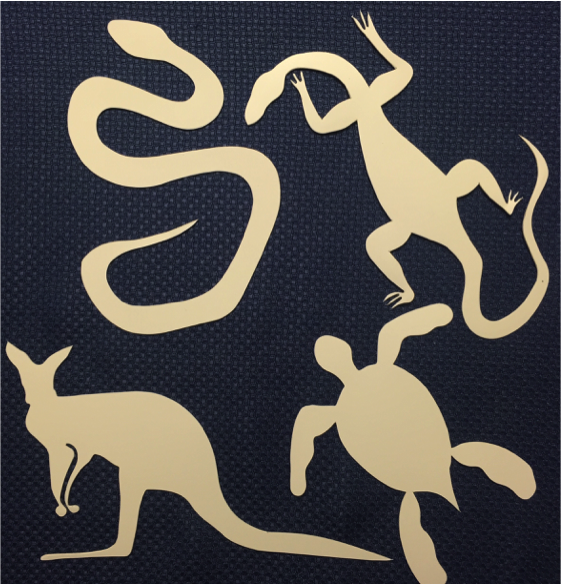 There are two stencils in each pack.